“No.” I said, and my friend smiled, the way she used to smile when she scored a point against me in some theological debate. My epiphany was shedding light on what could prove to be a painful reality. After all, from where my friend now sits, outside of the church and beyond all the church’s teachings, belief in Jesus is kind of a non-negotiable bottom line for a pastor. From her perspective, I ought to be able to give an unequivocal, “YES” to her question. 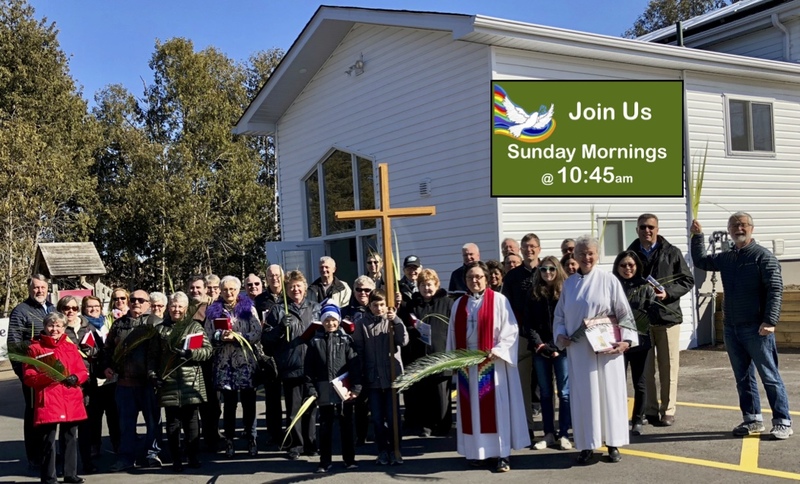 Whenever the story of Jesus turning water into wine at the wedding in Cana comes around in the lectionary, our congregation pops a cork and substitutes the sweet wine we use for communion with champagne. It is our attempt to enter into the spirit of outrageous hospitality that Jesus exhibited in this story which the author of the Gospel According to John uses to begin his tale of Jesus public ministry. However, the last time this reading came up in January of 2010, our living rooms were being inundated with visions of the disaster in Haiti. So, we put away our champagne and turned our hearts and minds to questions about what we might do to respond to our neighbours in need. Below you will find the sermon that I preached. 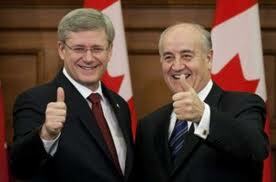 I post it here, three years after the disaster because here in Canada we have heard from Julian Fantino (Canada’s Minister of International Cooperation) that the Harper government may be about to pull the plug on disaster relief to Haiti which continues to suffer. Fantino’s attempt to justify such a move demonstrated his complete lack of knowledge of the history of the worlds abuse of Haiti. As our sisters and brothers continue to suffer, perhaps this old sermon will inspire some to take action to lobby our governments not to abandon those in need. I’ve been thinking a lot about my friend Katherine this week. I’ve been trying to imagine how she’s coping with the scope of the disaster in Haiti. Katherine and I worked together for a large tour operator in Vancouver. Katherine worked in the accounting department. I should say that Katherine ran the accounting department; even though her title only indicated that she was the assistant to the comptroller, the truth is that without Katherine the department would cease to function effectively. I’d been with the company for several months before we actually met. We saw each other in the hallways, but Katherine was quiet and shy, and her English was difficult to understand. Christ Church Cathedral was right across the street from the our office and on Wednesday’s at noon this flagship of the Anglican Church offered a full communion service for people who worked in the downtown offices. I used to see Katherine quietly sitting in the pews. Sometimes during the peace we would shake hands. But we never spoke more than a few words to one another. Then one day, my secretary said that Katherine from accounting had asked to see me. I assumed that it had something to do with my inability to get my expense reports in on time, so I told my secretary to tell her I was busy. That evening, long after my secretary had gone home, Katherine caught up with me. There was no escape, the next day Katherine lead me down a back ally and into the basement of a building I would never have gone to on my own. Katherine introduced me to the waiter with the words, “she Christian” which brought a smile to the waiter’s face and we were ushered to a table full of people. Over the course of the meal it was made clear to me that all my dining companions were Christian. They chattered away in a language I soon discovered was a Malaysian dialect. Katherine was ethnically Chinese, but she grew up just outside the city of Jakarta. It was a command not a question and if the truth be told Katherine taught me so much more than I ever taught her. I lent her a copy of Here I Stand, and when Katherine finished reading about Martin Luther’s life she said, “Germans just like Dutch not smiling.” So, I took Katherine to my church so that she could see us smile. Katherine liked Luther’s theology of grace, but she said it was dangerous, because people might forget to say thank-you. Katherine took me to her church, it was a Chinese Pentecostal church, I never understood a word but I sure felt the Spirit in that place. Katherine said that was all I had to understand, that the Spirit is alive in us, we could go for bread wine with the Anglicans on Wednesday the Spirit is quieter over there, not so scary. “God lives in us! We’re Christian, we help!” The estimates are based on educated guesses; some say 50,000.00 some say more than 100,000.00 are dead. All we know for sure is that at least 3 million people have been impacted by the quake. Technology allows us to hear them cry and wail and beg for help. Images are flashed into our living rooms and we quietly weep and people the world over are left wondering why. That is except for the people who know exactly why these children of God are suffering. Jeeessssuss wept! Once again our tribalism rears its ugly head. That Pat Robertson should have said such a thing doesn’t really surprise us. That the news media should spread his primitive outrageous venom is a travesty. As the earth continues to shake, the dead and dying remain trapped, we see the fear and anguish in the faces of the few Haitian representatives, that the media can find to interview, turn to anger as they are asked to comment on their opinion of Pat Robertson’s theory. These words don’t lend themselves to a sound-bite and so the Ambassador was cut off and we were left to wonder what exactly he was talking about. Fortunately, the technology that brought his words to the world allows us to find out more. Over the course of the past few days I’ve been reading the history of Haiti as the Haitian people themselves have recorded it. That history goes a long way to helping me understand a question that haunted me from the very beginning of the coverage. Over and over again we have heard that Haiti is the poorest nation in the Western Hemisphere. The abject poverty of Haiti is being blamed for the lack of infrastructure. Rescuers are pointing to the lack of infrastructure as the primary reason why so many Haitians will die in the aftermath of this horrendous quake. I’ve been to Haiti. Back in the days when I worked in the travel industry the Dominican Republic was emerging as a tourist destination and so I often traveled to Santo Domingo to purchase hotel space. The Dominican Republic is the nation that shares the island of Hispaniola with Haiti. The Dominican Republic is the busiest tourist destination in the Caribbean. The tourist industry is responsible for the Dominican’s economy being the largest in the Caribbean. Things are by no means rosy in the Dominican but relative to Haiti the comparison is a stark one. So, why is Haiti the poorest nation in the Western hemisphere? Haiti is just, if not more beautiful than the Dominican and yet its people have suffered in poverty for generations. In 1492, Columbus sailed the ocean blue. He landed near the city of Cap-Haitien and claimed the island he called Hispaniola for Spain. In the 16th century the first African were brought to Hispaniola as slaves. The colony was taken over by the French and by the 18th century Saint-Domingue as the French called it was the most lucrative of all of France’s colonies. In the middle of the 18th century an uprising by Haitian slaves successfully defeated the French. But the French did not go quietly into the night. While Haiti did become the first Republic founded by slaves, the world refused to recognize the Republic. Following the independence of the United States, Thomas Jefferson convinced the new nation not to recognize Haiti. Without official recognition the economy suffered. A nation cannot conduct trade unless it has diplomatic ties to other nations. But the world would not even consider recognizing a nation founded by salves. And so Haiti was forced to accept a deal that saw the fledging nation agree to pay France reparations for the loss of its valuable economy. In effect, Haiti was required to pay a ransom to the slave owners for their freedom. The ransom payments put a huge burden on the people of Haiti. Over the years the Haitian people often rebelled against the burden. Several times the United States had to intervene on behalf of the French to ensure that the payments continued. The ransom was not paid off until 1947. By then the fragile nation was vulnerable to the rise of all sorts of unsavory leaders the most notable of those the father and son team of Duvalyehs other wise known as Poppa Doc and Baby Doc. These dictators favored the corporations who were exploiting the natural resources of Haiti and so both Poppa Doc and Baby Doc enjoyed the political and military support of the United States government. They borrowed all sorts of money to support the regime and when the US could no longer tolerate their excess and drove Baby Doc into exile, the Haitian people were left with a debt to the World Bank in excess of a Billion Dollars. The world could have forgiven Haiti’s national debt. The legal term for this debt is “odious”. Apparently, according to the United Nations “odious” debts cannot be demanded from nations because they were incurred under repressive corrupt regimes. But under the influence of the United States, the World Bank refused to forgive Haiti’s national debt. Not surprisingly, Haiti fell into arrears and in July of 2003, Haiti was forced to send 90% of its Foreign Reserves to the United States in order to pay off those arrears. But lest we as Canadians point the finger at the US, I should tell you that the Quebec Declaration of 2001 is where the fate of this island nation was sealed and where Canada as a member of the Summit of the Americas worked hand in hand with our American cousins to ensure that the payments continued to flow. In recent times leaders have emerged in Haiti who have tried to shake off the horrendous burden of debt. Jean-Bertrand Aristide who currently lives in exile is a case in point. Aristide or should I say, Father Aristide for this former president of Haiti is a Roman Catholic priest; a liberation theologian who called for the end of economic oppression. A Roman Catholic priest Aristide was officially silenced by the Vatican during Pope John Paul’s purge of Latin American liberation theologians who called on churches and governments to remember God’s preferential option for the poor. Aristide would eventually be ousted from his Franciscan order, but to this day the church has not defrocked him. Newly declassified documents, tell us that the Regan Administration instructed the CIA to support the military coup that ousted Aristide from the presidency after only 11 months in office. Aristide’s liberation theology was labeled communist because it threatened to use Haiti resources for the benefit of the Haitian people and not international corporations. But Aristide’s pronominal popularity with the people of Haiti forced a reluctant Bill Clinton to restore him to the presidency. But alas, when the political tide changed in the United States the Bush administration, once again employed the CIA only this time, according to their own documentation, the CIA kidnapped Aristide and fly him to Central Africa where he remains in exile. Aristide may not have been up to the task of leading Haiti. Most clergy that I know are woefully ill-prepared to lead a nation. So, I’m not suggesting that the current state of affairs in Haiti were helped much by Aristide. What I am trying to get across to you is the reality that the poverty in Haiti is not of their own making and it certain has little to do with a pact made with the devil. Unless of course, the devil is the evil known as the western economic system? Now I didn’t tell you all of this to suggest that the current disaster is a result of politics. I told you this to let you know that the lack of infrastructure that has left the people helpless in the face of disaster is a result of policies supported by the governments of Western democracies like the United States and Canada. The Haitian people are helpless in the face of this disaster. And so we see images of them doing the only thing they can do, they are begging for aid. This is not the time for pointing fingers or attaching blame. This is the time for us to rush to their aid. There will be plenty of time down the road for us to ensure that some measure of justice is achieved for the people of Haiti. There debts must be forgiven. All future aid must come in the form of grants and not loans. For as recently as the hurricanes of 2006, we saw the World Bank issue loans instead of grants and they by increase the indebtedness of this impoverished nation. Yesterday, Haitians we seen marching and singing in the streets of Port a Prince. They were praise God and begging God to help them. If you really believe that God has come to dwell with us. If you believe that the Spirit of God lives and breaths in us, then you know that God will come to their aid through us! We are the body of Christ. Christ lives in with and through us. We need to hear their prayers and open our hearts and minds and yes our wallets. That’s the immediate need. We who have been so richly blessed, we who live in abundance, must share our blessings. They need cash and we have plenty of it! So, give. Give and keep giving. But money is not enough. We need to seek justice. And not just for the Haitians, but for every tribe and nation that has suffered from the exploits of the economic system that has worked so well to benefit us. If there is a devil, it is the systemic evil of a financial system that relies on the exploitation of the weakest to sustain the life-styles of the strongest. And if anyone has made a pact with this devil it is those who have benefited from this system. Rachel is joined in weeping for her children, by the cries of mothers and fathers and sisters and brothers of all those who have been held in poverty by the rich and the powerful. Sisters and brothers, God lives and breathes in us, hear their cries and be God’s response. Let justice be our guide. Give. Dig deeply. Keep giving. Don’t take my word for the reasons behind the injustice and the suffering. Do your own research. Ask questions, gain wisdom, work for justice. Lobby politicians, lobby corporations, speak-out, get involved. Hear the cries of the children of God. Be God’s voice, be God’s hands. Usher in God’s reign of justice and peace. Although the World Bank eventually cancelled Haiti’s debt, the legacy of poverty continues to haunt recovery efforts. As politicians grow weary and threaten to cut needed aid, they continue to condemn Haitians for their slow recovery as an excuse to abandon relief efforts. Our failure to understand Haiti’s history threatens to once again punish the most vulnerable. We must continue to help! It may not be easy or swift but the recovery of Haiti is our shared responsibility! They Were So Nice You Would Never Know They Were Christians! As I begin to look at resources for this coming Sunday, this old sermon preached in 2007 reminds me that sometimes the world forgets just who it was that turned water in to wine! The theology about grace in this sermon is from Edward F. Markquart “Sermons from Seattle”, who has saved me from myself on many a late Saturday night!!! The story about my Nannie is best when it is served up with a big dollop of an Irish accent, preferably of the Belfast variety! Last summer my family my family threw a wedding feast of our own. It was my niece’s wedding and in addition to attending I had the privilege of presiding. Working a family gig, as a pastor is an unusual experience; especially where my family is concerned. These folks knew me back in the day. So seeing me up there in my working duds, doing what we clergy do, well it’s a bit of a stretch for the folks you grew up with. At the wedding feast, I ran into some folks that my brother and I went to high school with. Every once in a while I would catch him looking at me as if he was trying to figure something out. Now fortunately, this particular wedding feast had an ample quantity of wine and over the course of the evening, my old classmate eventually sauntered over to my table and sat down. We exchanged a few pleasantries. Je told me a little about his life, reminding me that he had 3 kids, and explaining how he liked his work as a salesman for a manufacturing firm. It was a pretty dull conversation, until we got around to the part where I said, “Do you remember the time when we….” And then he said, “Yeah, but what about the time we…” And then I said, “Yeah, but that was nothing compared to the time we all…. 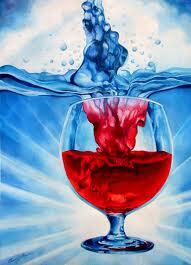 Who was it that turned water into wine in the first place? My old friend wasn’t the first and I expect that he won’t be the last person who thinks that just because I wear a collar that I’m some sort of religious fanatic, whose forgotten how to have fun! You see my old classmate’s understanding of Christianity is based on a few scattered childhood memories, together with a whole lot of what “they” say. You know, that grand and glorious “they” who seem to frown on everything that even remotely smells like it might be interesting, or fun, or even remotely useful. That ever present, humourless “they” who scream and shout about family values, and the Judeo-Christian tradition that must be maintained at all costs, regardless of what science, or common sense or decency, or kindness, or hospitality, or even Jesus tells us. That ubiquitous “they” whose message about Christianity, sounds more like bad news than the Good News that Christ proclaimed. “They” who if they did manage to recognize grace because it had the audacity to fall into their laps, would probably make up some sort of rule so that people wouldn’t dare to expect that grace would ever come their way again. The almighty “they” who have managed to reduce the Good News of Jesus’ life death and resurrection to a list of thou shalt nots or else God’s gonna roast your sorry you know what in the fiery pits of hell forever and ever amen! So, wipe that silly smile off your face, and fall down on your knees and never ever forget that you are nothing but a lousy disgusting creature that God would just as soon smite rather than have to listen to. And the only chance you have of escaping the pits of hell, is if you open up your wallets and send a cheque right away so that “they” can send you a copy of the rules, so that you’ll be sure to know who’s in and who’s out, and how to go about making sure that when the end of the world arrives, your on the right and I do mean “right” side of Jeesuus! Sisters and brothers if you’ll only empty your wallets, Jeesuus will be see to it that what ever you touch will turn to gold. Cause God wants you to be healthy, wealthy and wise, so if you just check your brain at the door and follow “them” you too can be on the path to glory! Those are the kind of Christians that my old friend was talking about. The kind of Christians who have managed to give Christianity such a bad name. The kind of Christians who seem to be getting all the attention these days. And I’m with my old friend on this one: I can’t for the life of me figure out how people can stand to be around that kind of religious fanatic. If there is a hell, and just for the record, I don’t believe that there is such a place, but if I did believe in hell, hell for me would be to spend eternity with a bunch of religious fanatics. As for me, its just like the song says, “I’d rather laugh with the sinners than cry with the saints!” Cause if heaven is full of religious fanatics then I don’t want any part of it. Angels and fluffy clouds simply don’t appeal to me. I’m with Mark Twain on this one, there’d better be good scotch and amazing conversation or I’m simply not interested. Choirs of angels is one thing, but I’ll be over with the Grateful Dead, and we’ll be jamming and that party will go on forever, cause there’ll have to be numbers from the likes of Louis Armstrong, John Lennon, Elvis, Patsy Cline, Judy Garland, and Chicofsky! Yeah, and when we get around to Vivaldi and the music is sweet and low, I want to have a word with Gandhi, and Einstein, Madam Curie, Bodacia, Simone de Bouveria, Emmerson, Tennison, and I’ve always wanted to find out exactly what Abraham, Jesus and Mohammad, have to say for themselves and what they really think about the mess we’ve made of all that they tried to teach us. And then, I want to hear from Sarah, Hagar, and Mary and I want to know what they think about all sorts of stuff. So, it’s a good thing that eternity goes on forever cause there’s so much to learn, to taste, to experience and to enjoy. The Good News is that Jesus came so that we might have life and live it abundantly. Abundant life! It boggles the imagination! So, why oh why do so many people try to turn the Good News into bad news? How do we get from I want you to live abundantly to stop, wait, stand over there, don’t do this and definitely don’t do that and wipe that smile off your face cause the end is near? Is it any wonder that the writer of the Gospel of John, decided to tell the story of Jesus’ turning water into to wine right up front? I mean really, if somebody asked you to tell the story of who Jesus is and why Jesus matters would you begin by telling them the one about the day Jesus turned water into wine. Well, maybe you would if all the religious types around you were so busy making rules and pointing out the rule breakers, worrying about who’s in and who’s out and telling everyone that God is gonna smite them if they don’t behave themselves. The writer of the Gospel of John describes Jesus efforts at the wedding feast as a sign. He deliberately doesn’t call it a miracle. The writer of the Gospel, the Good News about Jesus Christ, says that this is the first of Jesus signs. A sign does not draw attention to itself but rather points us toward something else. The wonderful thing about this sign is not that Jesus was able to turn water into wine, but that Jesus gave us a sign to point the way. This new way helps us to understand that we may indeed be a crummy Christian; we may not be very good at all, but the Gospel of grace insists that despite our tendency to fall short of what God created us to be; God refuses to give up on what God has created. But rather than make it all about the rules God has decided to try and love us into the fullness of life. Grace is God’s solution to the evil in the world. And in spite of our stupidity, our bunglings, our mistakes, our brokenness; God is going to keep on loving us, not because of who we are or what we can accomplish, but because of who God is and what God can accomplish through loving us. Gallons and gallons of grace, designed to overwhelm us with the sheer magnitude of God’s love so that we can’t help but love in response to all that amazing grace. That’s the Good News! God is love and God loves us, and you don’t have to look any further than Jesus to understand just how much God loves us and when you look at the life of Jesus and the way in which Jesus embodied that love you can see the way. The way to respond to all that grace with love; love for God and love for the world that God loves. Jesus came that we might have life and live it abundantly. There’re gallons and gallons of grace to go around. That’s Good News indeed. News that needs to be shared. But people have all sorts of excuses for not coming to the party. We’ve made such a mess of Christianity, and some of our wine has turned to vinegar! One whiff and people remember that their allergic to what we’re offering. So we’re going to have to do more than simply just invite folks to stop by for a taste of what we have to offer. It’s not enough for us to wait around for folks to drop by for some wine. We’re going to have to pack up some wine and go out into the world where the folks are at and ask them to take a sip to see for themselves. And we’ll need to remember Jesus’ warning not to put new wine in old wine skins. We’re going to have to find some new wine skins. The News is Good! Abundant life, life beyond our imaginations. Life that defies our limited vision. Life that will not be bound by petty rules; small minds or weak temperaments, life that is abundant, filled with love that is steadfast and sure enough to be in the world active and loving, transforming the sorrows of this world into joy. And as for those sourpuss religious folks, how will we put up with them? Well there’s enough grace for them too. And when their rhetoric gets us down, we can take refuge here at Holy Cross, where the wine is sweet and good. I’ve told this story before. But incase you’ve forgotten just how amazing the grace is around here, let me remind you. A few years ago my grandmother, Nannie came to visit me for a few months. Now Nannie has had her fill of Christians and so she doesn’t like churches. So, even though I’m the pastor here, no amount of invitations could convince my Nannie to come to church on Sunday morning. But when the Sunday of the Church Picnic rolled around; well back then we used to have our worship service in the park and then party after worship. So, rather than invite Nannie to come to church, we told her that we were going to a church picnic. “They were that nice, sure you wouldn’t even know they were Christians.” It didn’t take you folks long to let my Nannie know that everything she believed about how horrible Christians are is not true about you. There are lots and lots of folk out there who can’t get past their distaste for Christianity and all the horrible things they’ve heard have caused them to assume that we are all about inflicting guilt. It’s time to pack up some wine in new wine skins and take some of that grace out there into the world that God loves. So that the Good News of God’s grace can be heard, and felt and lived. So that the miracle of Holy Cross can be a sign pointing to the way of Christ; and all may know that Christ came because God wanted to remind us of the gift of abundant life.